The love planet spends more-or-less a month in most signs as she moves along her path. However, Venus will be in Aries until June this year, thanks to her retrograde movement. Yes, you heard me right! Mercury is not the only planet that goes retrograde. All the actual planets (i.e., not the Sun and Moon) appear to change directions in the sky and move backwards. When the relationship planet turns around, all things Venusian must be reconsidered, and some pop up from the past. Old lovers may come back to haunt you, and you’ll have ample opportunity to take stock of past relationships to determine what you really want from a partner. Venus retrograde is not the ideal time to move forward in a relationship, but rather a time to confront problems that keep you from thriving in love. In the sign of the Ram, Venus attracts others and expresses affection in an impulsive, direct manner. She is dignified in Libra, the sign opposite Aries. Rather than charming and people-pleasing, Venus in Aries can be brash and self-centered. She wants sensual pleasure right here, right now, in whatever way she can get it. How have I gone for what I wanted in love? What have I regretted doing in my pursuit of sensual pleasure or a relationship, and how would I do things differently? What do I want from a relationship, now that I know from past experience what I don’t want? This transit will be strongest (and most challenging) for people born under any of the the cardinal signs (Aries, Cancer, Libra and Capricorn). Venus’ stay in Aries will be beneficial for Leo and Sagittarius, as well as for Gemini and Aquarius. For the rest of the zodiac, Venus’ transit will require an “adjustment,” as her stay in Aries won’t fit well with your Sun’s expression. 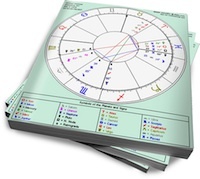 If you have a personal planet near 29 degrees of a mutable sign (Gemini, Virgo, Sagittarius, Pisces) or 0 or 15 degrees of a cardinal sign, this transit will be especially impactful, as Venus will be stationing conjunct or in hard aspect to a planet in your chart. Jeffrey Kishner is editor and publisher of Sasstrology.com. This transit wouldn’t bring about sudden unexpected pregnancies would it!?!?! Let me also add, with a Libra ex bf w/ moon in Aries. Thank you for getting back to me. I appreciate you taking the time. I am capricorn and my boyfriend is cancer . I am worried as for last couple days we were really tensed and argumenative . We are fine now but he is with his friends vacationing .. I read that venus retrograde can even trigger cheating in one’s mind or even breakups.. any idea if this is true ? Umm I applaud this for being ON THE DOT because my capricorn was acting normal but all of a sudden went crazy and all booty-call status on me so I dumped him. Oops. Another Capricorn here, who just broke up with her Gemini guy mid March. It was pretty weird. In six months of no arguments, and much mutual passion, he suddenly decided he was not ready for a relationship. I know there is no one else, and he is quite upset himself about his change of feelings, but I on the other hand although heartbroken, strangely feel a sense of relief. It was all just too good to be true, and now I know , it wasn’t true. Our once very stable relationship hit a surprise roadblock at Xmas and exploded at the start of March. Now we’re deciding if we should split up. He keeps calling things off but leaving a little door to reel me back in later when he calms down, which he keeps doing. He seems to have a lot of personal healing to do related to his past, and so do I as a result of what is going on. I see a *lot* of planets here that are at degrees you’ve described as “challenging” above. What does all this mean for us? star-crossed, I don’t do that level of analysis in the comments section, but you’re invited to look at my services. Just click on my name. Thanks. Just writing out how many planets are involved in this retrograde has helped me to an extent. I don’t have $180 for a whole consultation though! Could you answer one question to really help me out – is this retrograde likely to be more intense for a Taurus with Venus at 3 deg Aries? star-crossed, absolutely. The degree area is being transited three times, plus Venus is Taurus’ ruling planet, so there is increased sensitivity.